One of the most widely used and poorly understood aspects of social media is the hashtag, which is both a symbol (“#”) and an object. 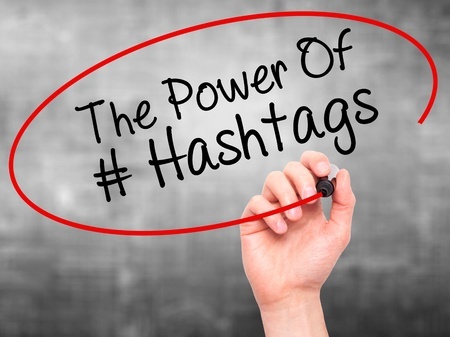 Hashtags are keywords or phrases that are linked to other posts that utilize that hashtag. If a user clicks on a hashtag in your post, he or she will be shown all the other recent posts on that site that also use that hashtag. As a result, using hashtags can be an important way to get your business’s name out there for others to see. – Do: Research hashtags to ensure you reach your ideal audience. Tailoring your hashtags will help you gain followers who are interested in the services you have to offer. – Do: Know what’s trending for maximum reach. Hashtags are connected to the larger social media community, and using popular ones will gain you more followers. – Do: Use them on multiple social media channels. Facebook, Twitter, and Instagram are the three major social media sites that offer hashtags for their users. – Do: Make them unique, and easy to understand. Offer fresh and interesting hashtags that grab readers’ attention. – Do NOT: Use spaces in a hashtag. The way hashtags are designed requires them to be a single word or phrase without spaces. For example, if you type #Social Media, only the first word (“Social”) will fall under the hashtag; “Media” will just be a plain-text word because of the space. – Do NOT: Make your hashtag too long. This makes them difficult to read, as viewers have to mentally insert spaces between the words (as in #checkoutmylatestblogpostonline), and they will become bored and leave. – Do NOT: Use more than one or two per post. Although it may be tempting to connect to as many different types of hashtags as possible, having too many can annoy readers. – Do NOT: Use the same hashtag over and over. Bring something new and fresh to your posts, so that your followers don’t get bored following the same hashtags over multiple posts. Ultimately, it is important for your social media marketing efforts to properly use hashtags in order to gain maximum brand awareness. Once your followers start being exposed to your brand through their hashtag involvement, you will be able to get your name out there to those interested in your business! What have been some of your experiences through the use of the hashtag in your social media marketing? Has it helped your business gain headway against your online competition? We would love to hear your thoughts! Please feel free to comment in the box below, and remember that further assistance with effective hashtag use and other aspects of your marketing strategies is just a click away!